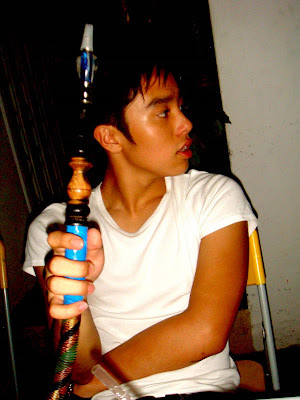 Shisha and then Arena with Swing, Jeannie, Andesson, Brandon.. etc. Sorry slippers lorzxz didn't know we were gonna go club after Shisha! 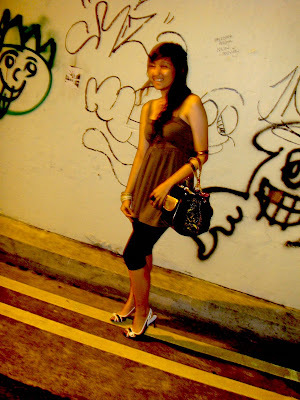 We were actually all lazy to go Arena especially Jeannie and I cos we had shisha-ed till we were feeling all yucky... But Swing is veddy veddy enthusiastic haha and us veddy veddy accommodating (snort). So Arena it was. Valentine's Day, updates later! No date to mention of anyway, unless you count the Lonely Hearts Club us celebrating Irwin's birthday in 6.5.4.3.2 hours. I'm to buy balloons and party hats!